A Must Have For Any Chemistry Classroom or Lab. Increased functionality equips this device for accurate and precise use in chemistry experiments. The apparatus features front spring clips, which allow you to easily remove the test tubes while they remain submerged. For greater safety, the binding posts have also been re-positioned. This apparatus comes with both ungraduated and graduated test tubes and instructions. Size 14 cm x 15 cm x 5 cm. 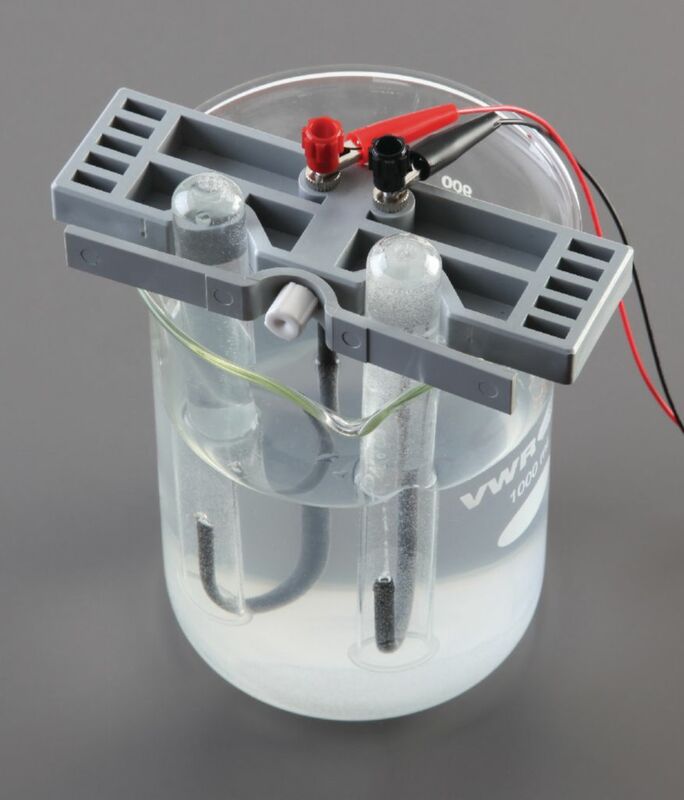 A simple beaker can be used as the battery jar for this apparatus, and is available separately.